In honor of Earth Day, we’re deep-diving into the vineyards of three Scott Harvey Wines fan-favorites! We couldn’t resist the opportunity to embrace Earth Day and do a deep-dive into our spectacular vineyards. They are, after all, what gives our grapes the characteristics that shine in our wines - each wonderfully unique in their own right. 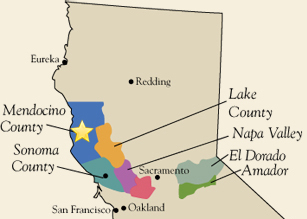 While Scott Harvey Wines is based in Amador County, we source some of our grapes from a few other highly sought after vineyards around Northern California. Because we’re in the midst of spring, it’s the perfect opportunity to hone in on some of this season’s favorites. Let’s start off close to home with our Rosé vineyards. Hailing from our very own Amador County where Scott has been making wine for over 45 years, our Rosé of Barbera is long-time Scott and Jana Harvey fan-favorite. Shenandoah Valley is an American viticultural area (AVA) in the heart of California's once-thriving gold-mining country. Although Zinfandel reigns supreme here (check out our red wines! ), the region also produces high-quality Italian favorites like Sangiovese and Barbera. style, which is the lightest style of Riesling done half-dry (or slightly sweet). 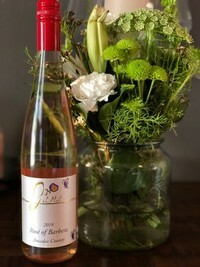 Scott loved producing this style of wine while he went to winemaking school and worked in Germany many years ago. In Amador, hot, sunny days turn to cool evenings bringing breezes that blow down from the Sierra Nevada. This drop in temperature allows the grapes time to close down their ripening processes overnight, retaining the acidity required to create balanced wines. The refreshing breezes are also essential for ventilating the vineyards and keeping fungal diseases at bay. The most noteworthy soils in Amador are of iron-rich decomposed granite. They’re often laced with sandy clay loam, enabling them to retain water and stay hydrated despite the county’s limited rainfall. These are ideal conditions for cultivating high-quality grapes as the vines are forced to grow deep, strong root systems. Moving farther out west toward well-known Napa Valley, we then take a right and head north toward Lake County. Lake County is home to our Sauvignon Blanc vineyards, and one of the most interesting aspects of this county is that ancient volcanoes have provided much of its terroir. Ridges and hills throughout the county have been formed by ancient lava flows, and vineyards are planted on hillsides with a variety of different slopes to take advantage of the prevailing weather patterns. 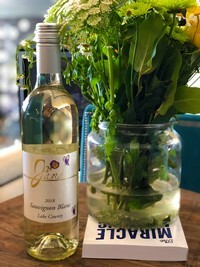 We source the grapes for our Sauvignon Blanc from the Olden vineyard, which is located on the northern shore of Clear Lake. The vineyards are located against a large pear orchard and these sandy, alluvial soils drain well to produce our wonderfully flavorful Sauvignon Blanc. This wine is made to be fresh and crisp to preserve the wines ability to tell the story of the vineyard it comes from, and the varietal character. Gravel, sand, and even pockets of heat-retaining obsidian can be found in the areas near Clear Lake, while the lack of water in the ground leads to small berries with great concentration of flavor. Lake County lies in the rain shadow of the Mayacama mountains, and the region is generally warm and dry. The Olden vineyard experiences afternoon breezes which help to cool the grapes and extend the growing season. These warm days are followed by colder nights, ensuring berries have a slower ripening period during which they can develop varietal character without sacrificing acidity. 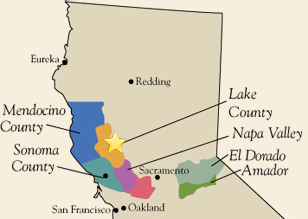 Our final stop is northwest of Lake County at the northern limit of California's quality wine-growing regions. Scott’s favorite white wine to make is our Old Vine Riesling, and Mendocino County was the perfect place to venture to for these grapes. Nelson Ranch, where these grapes are sourced from, is the perfect vineyard for our Riesling because of the area’s cooler climate. This climate allows the grapes to ripen slowly to preserve that beautiful, well-rounded varietal character. The Mendocino region is divided into two distinct climatic zones by the Mendocino Range, one of several mountain ranges which make up the Pacific Coast Ranges. Unusually for California, some vineyards lean toward the inland areas rather than the coast. Inland, it is significantly warmer and drier and vines are sheltered from the cooling effects of the Pacific Ocean. We consider each of our wines to be a reflection of the complex terroir and growing conditions of the AVAs they come from. It’s always incredible to see how these factors affect the characteristics of wines, and how these can change so drastically from year to year. While Mother Nature can certainly be unpredictable at times, we’re especially thankful for these vineyards and everything they endure to provide us our grapes each year. We hope you have the opportunity to step outside and enjoy this beautiful planet today - Happy Earth Day! I have not missed a harvest since 1974, this being my 45th harvest. I’m wondering how many more I have in me? Especially after this 2018 harvest. Some harvests come and go quickly and are over before you know it. This was not one of those. It was one of those long drawn out harvests that just seemed to go on and on… Fortunately, the long drawn out ones tend to produce the best most flavorful and extractive wines. Harvests like 1974, 1979, 1986, 1991, 1997, 2016 and now 2018. Harvest started for us on September 6 with Muscat Canelli off our estate vineyard. The grapes are in frozen storage waiting to be pulled out to produce Ice Wine. So, technically harvest is still not over until we process the Muscat Canelli Eis Wine. We finished harvesting grapes on November 6 and 7 with both the Portuguese varieties for our Forte and Concord for the Tickle Me Pink. As in most late harvest years, the yields were a little above average in size. We had a wonderful spring with a good healthy flowering for all varieties except the Tempranillo. Our neighbors in Amador County had the same complaint about their Tempranillo. The growing season was dry and with periods of cool weather and some long hot spells. The hot spells were early enough in the growing season that they did not negatively affect the grapes with excessive sun burning. Harvest began later than normal and went on and on with no rain until early October. I say the best Zinfandels in Amador are made after the first rain. So, it was welcome. After the rain, it dried out quickly with a North wind, so we escaped any molding in the Zinfandel. Resulting wines are full and extractive with good acidity and lots of regional and varietal character. Wines that were similar to the great 1991 wines I produced at Santino/Renwood. 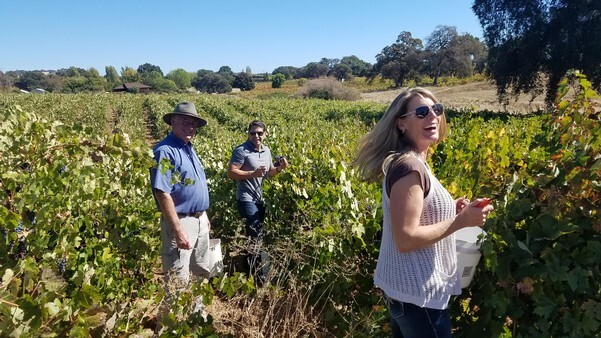 I’m convinced, and it is rapidly becoming known, that Amador County is the best wine growing region in the world for Barbera – and the proof is in the high-quality wine that flows out of here season after season. When you look at the natural origins of Barbera, it hails from a region in Italy called the Piedmont or Piedmonte, which translates to “foothill” in Italian. And much like the Alps above Italy, the Sierra Nevada flanking Amador are huge granite, monolithic uplifts born from continental drift. These foothill regions are full of decomposed granite soils coming off the sides of the mountain range. Amador’s terrain is like a home away from home for Barbera. The biggest difference between the two winegrowing regions is that Piedmont is very close to a marine influence – the Mediterranean Sea. During the growing season, Piedmont receives a nourishing fog from the Mediterranean, creating the best varietal known as Nebbiolo (named after the fog). The most expensive wines, Barolo and Barbaresco, come from this region. And while Nebbiolo is a fog-loving variety perfect for the misty Piedmont region, Barbera is a sun-loving variety that is dealt the second-best vineyard sites in Piedmont. 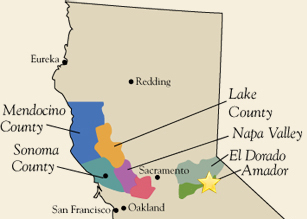 Now, take it around the world to right here in Amador County, a very similar foothill region up against a very similar fast-growing, granitic mountain range. The Sierra Nevada’s marine influence, the Pacific, is too far away for the fog to roll in during the growing season, making this a more suitable territory than the Italian Piedmont. Barbera thrives in Amador like no other place on earth. My favorite red wine to make is Barbera. I first cut my teeth making Barbera at Montevina Winery in 1974, and it struck a passion in me that’s never faltered. I’ve been producing Amador County Barbera ever since, under our own Scott Harvey label. It’s my favorite because it makes, undoubtedly, the best wine in the region.